The aroma salt lamp NATURE is made of crystal salt from Punjab, south of the Himalayas, and spreads beautiful light into the room. The glass bowl attached to the stone can be filled with aromatic oil so that the aroma salt lamp gives the room a cosy atmosphere. 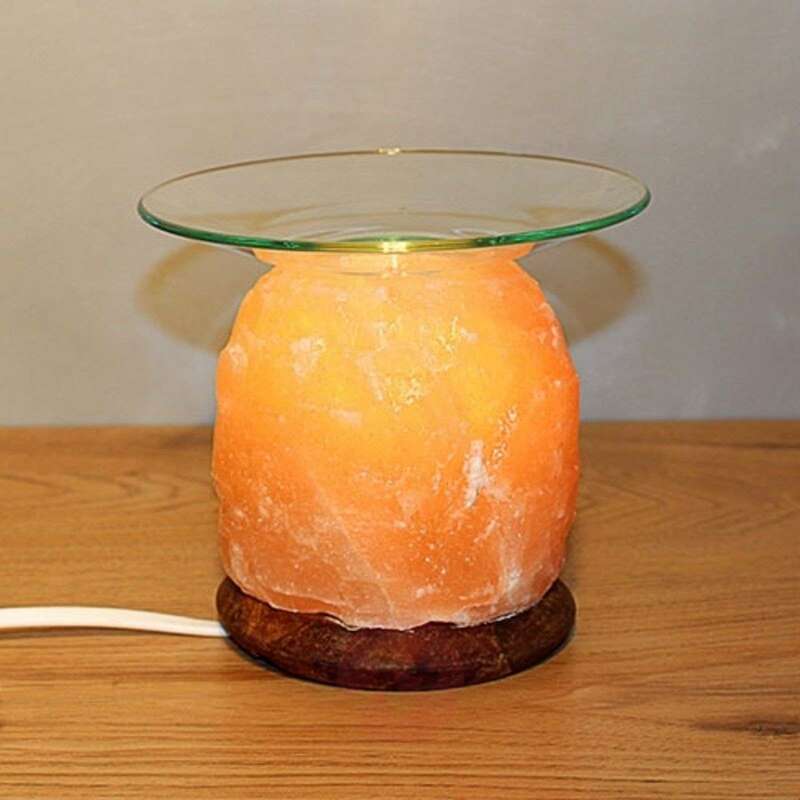 The luminous orange-coloured salt lamp serves as a beautiful piece which can be used to add a wonderful accent to any room. The salt stone and glass bowl have an approximate weight of 1.5 kg and come with an approx. 1.20 m long power cable with switch.